iOS 11: The App Store Redesigned. The new operating system not only improves general user experience, but completely revolutionizes how apps are organically discovered in the App Store. The App Product Page has been redesigned to spotlight more engaging day-to-day content and to place high quality user experience at the centre of App Store search. The new features and changes to the App Store have salient implications for the ways in which apps are optimized for App Store discoverability. The introduction of iOS 11 means that when developers submit an app update, the App Title must now not exceed 30 characters. However, do not despair! These 20 characters are not lost for there are an additional 200 characters available across the new Subtitle and Promotional Text features. In fact, Apple’s shift to separate the App Brand from Core keywords provides app developers and marketers greater opportunity to rank organically for keywords that are integral to the app; this move follows Apple’s recent crackdown on ‘keyword stuffing’ in the App Title, which typically results in app update submission rejections. The Subtitle appears just below the App Title and the Promotional Text appears at the top of the Long Description. The best functionality of the Promotional Text is that it can be updated at any time and does not require an update submission; this complements Apple’s new restriction of refreshing the Long Description. To update changes in the Long Description, app developers must now submit an app update. The Promotional Text should be engaging and share the last promotions, new features and time sensitive events within your app. In-App Purchases are now visible and available in the App Store. In-App Purchases are no longer only shown on the App Product Page but also the App Store search results. The user does not even have to have your App downloaded to see or buy one of the promoted in-app purchases. The user will receive a prompt to download the app first, meaning carefully crafted In-App Purchase names may promote downloads of the app. Apps can feature up to 20 In-App Purchases, which each comprise of a Display Name (30 characters) and a Description (45 characters). The Display Name and Description should not only provide details about the In-App Purchase but should also contain relevant keywords you would like your app to rank for. Now App Product Pages can show up to three 30 second long videos. The additional two videos provide more opportunities to show off your app and engage with the user. App Preview Videos can be localised for all available App Store languages, creating even more opportunities to connect with your users. App Preview Videos now appear before screenshots and the videos are on AutoPlay; this coupled with Apple’s introduction of the OLED screen (which has a 1,000,000 to 1 contrast ratio and a pixel resolution of 2436 by 1125!) means that it is more important than ever to upload a gripping high-quality video of captured app footage to show off the best features of the app! In iOS 10, the rating visible on the App Product Page included the ratings of all the versions of the app. However, in the iOS 11 App Store, developers now have the option to reset the rating when submitting an app for review. Apple advise that this feature is best utilised when you have updated the app with new features that address users’ previous concerns. 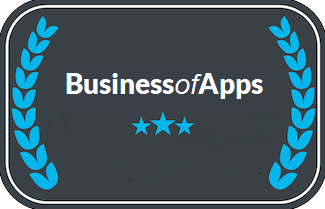 However, while the reset feature may seem like the ideal solution to erasing a negative rating from the app store, it is not an all-singing-all-dancing solution to bad reviews that are reflective your current app. We believe that great caution should be taken when actioning it. Firstly, having a low number of reviews can discourage customers from downloading your app; and secondly, the ranking algorithm takes into account the number of rankings as well as the overall value of the rankings. So, while the ability to progress the ratings in line with the progression of the app is great, use it only when the app has progressed beyond the ratings. Overall, we welcome iOS 11 with opened arms and we are excited about the new opportunities for app discovery. Get in touch to find out how Redbox Mobile can get your App Product Page fit for the iOS 11 App Store!